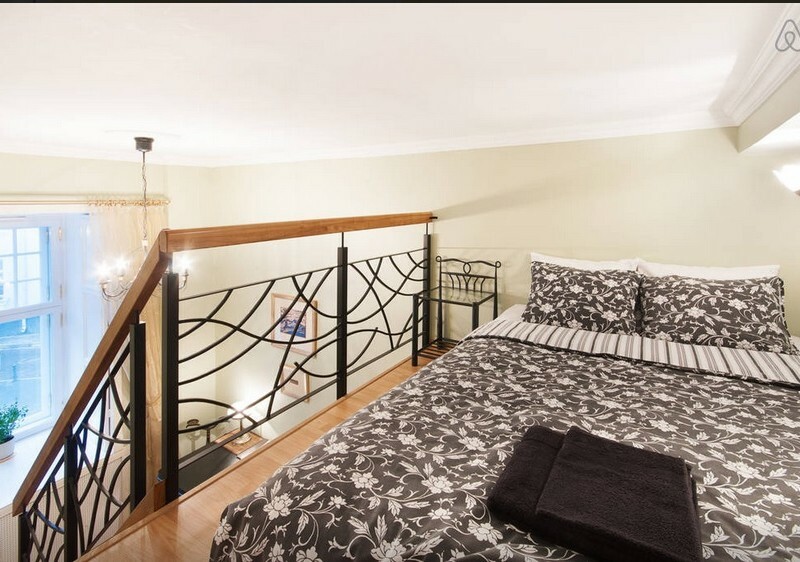 Sleeping places: 3 (double bed 160 cm wide, double bed 140 cm wide, extra folding bed). 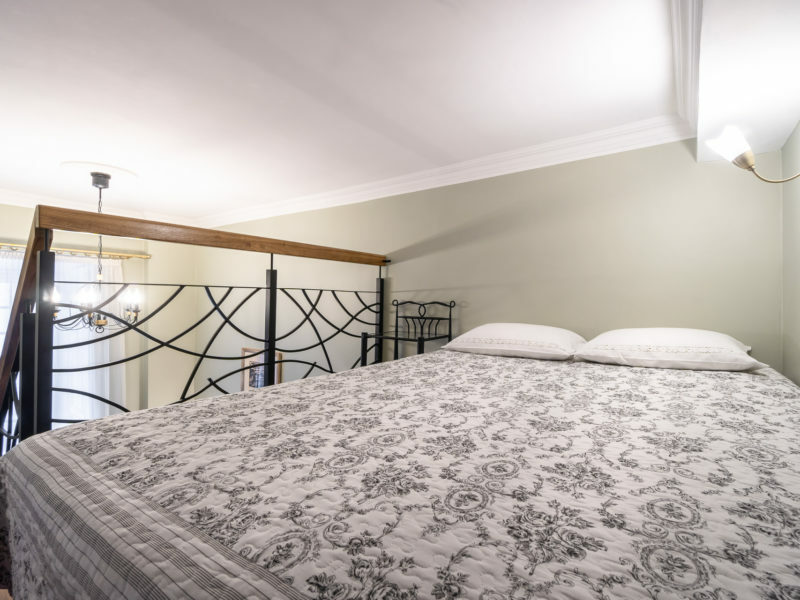 Baby cot is available for extra fee. 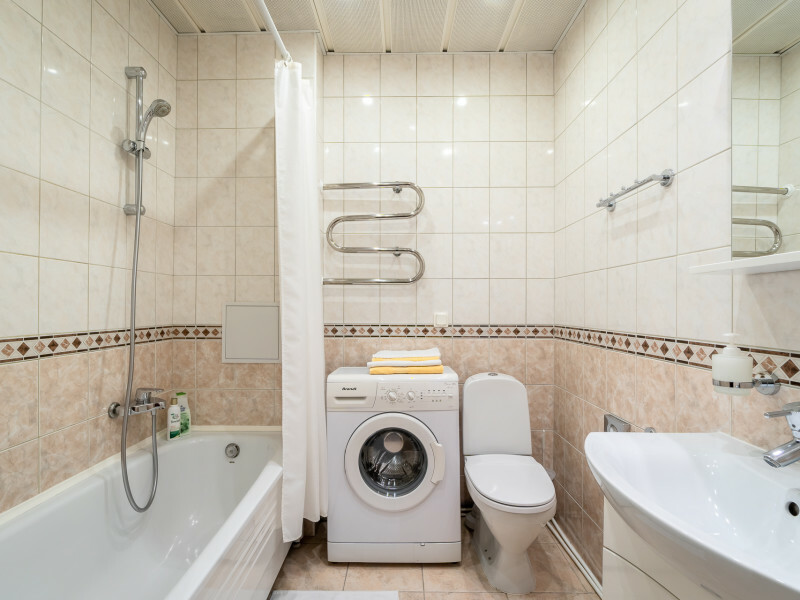 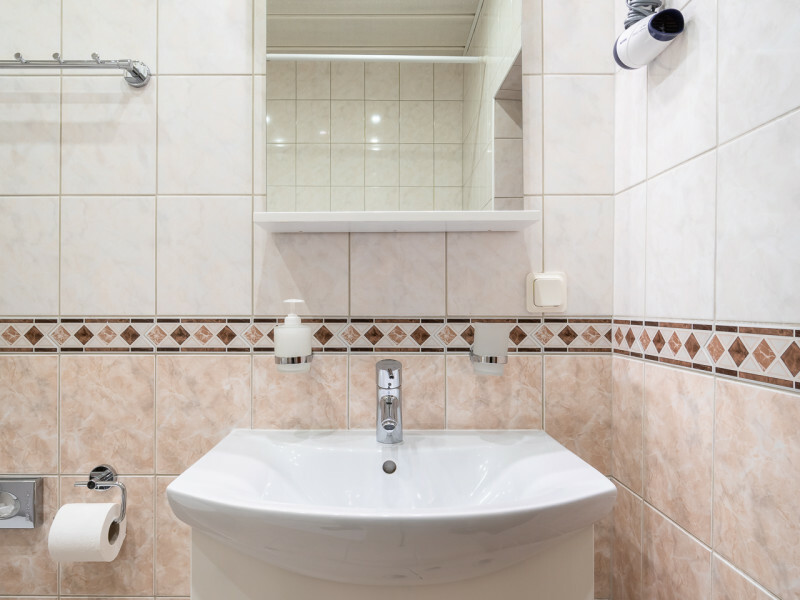 Bathroom: Bathtub, WC, hair-drier and washing machine. 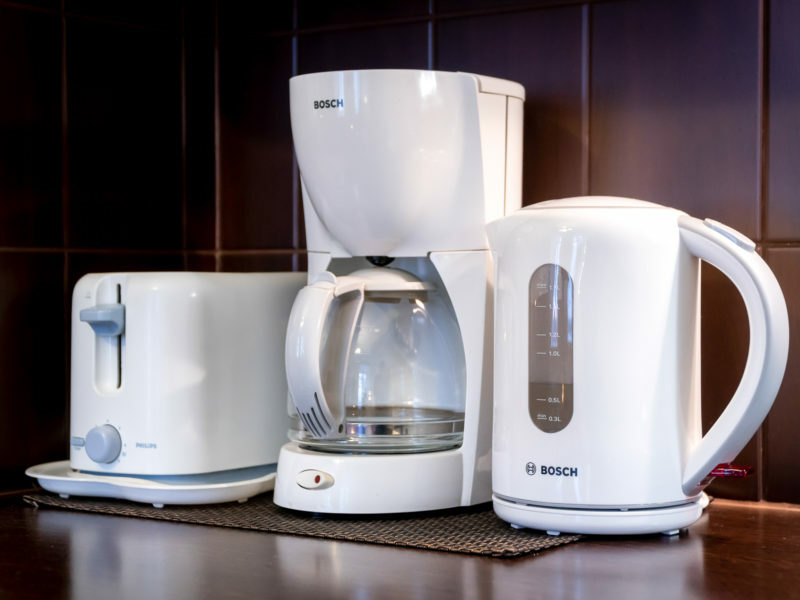 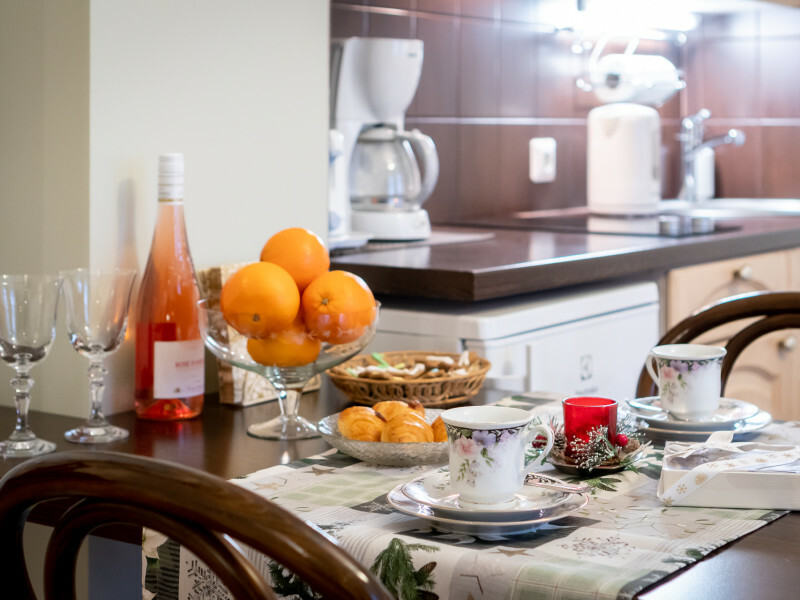 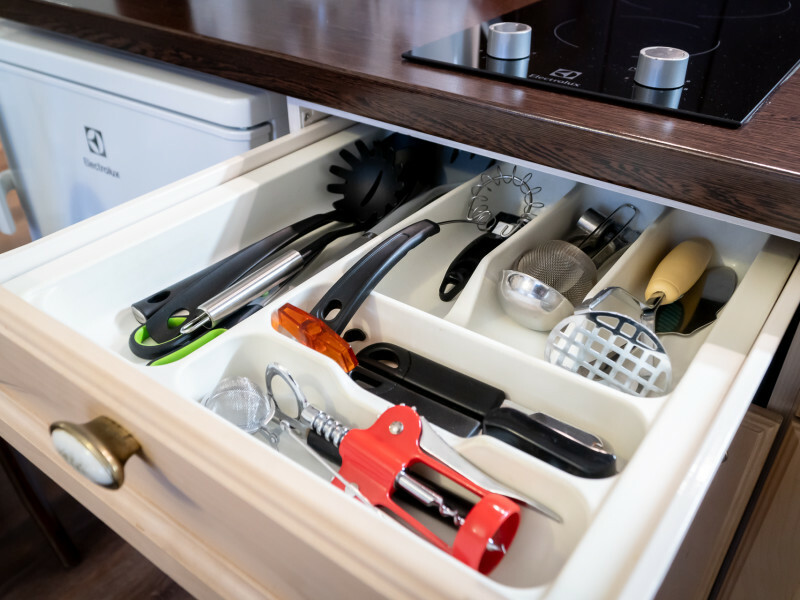 Kitchen: Fully equipped, glass-ceramic electric cooker, refrigerator, microwave, coffee maker, toaster, pans & pots, kitchen utensils, kettle, complimentary tea, cooking oil, salt & sugar. 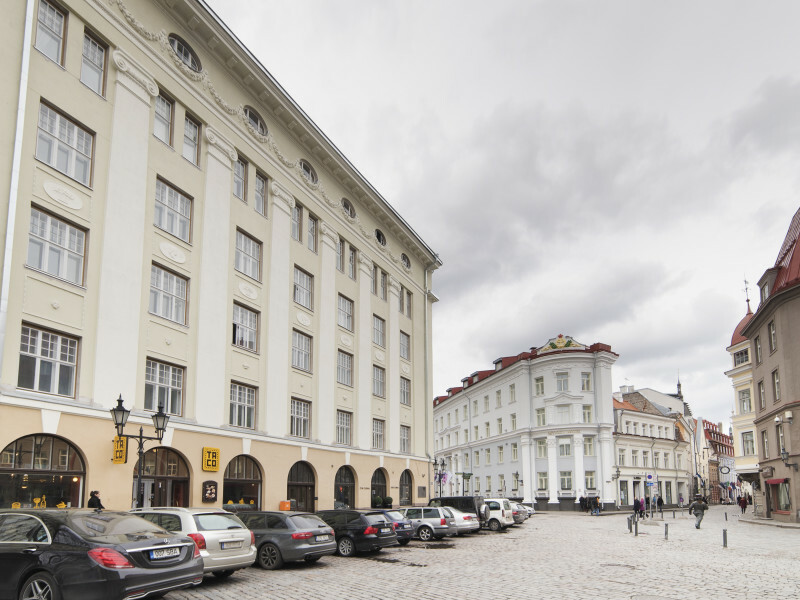 Parking: in the next closed courtyard is available, price is EUR 12 per day (reservation is needed). 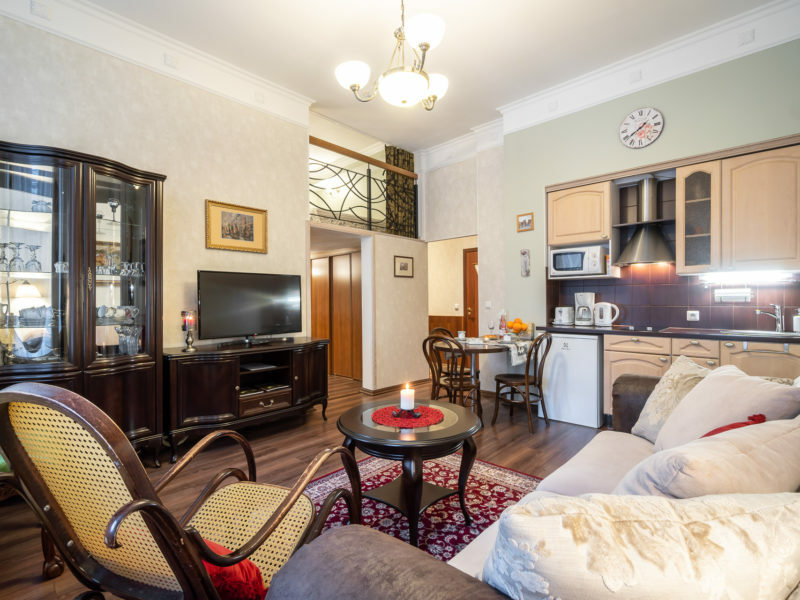 Classic Apartment is Two-Bedroom apartment 50 m2 with view of the Old Town. 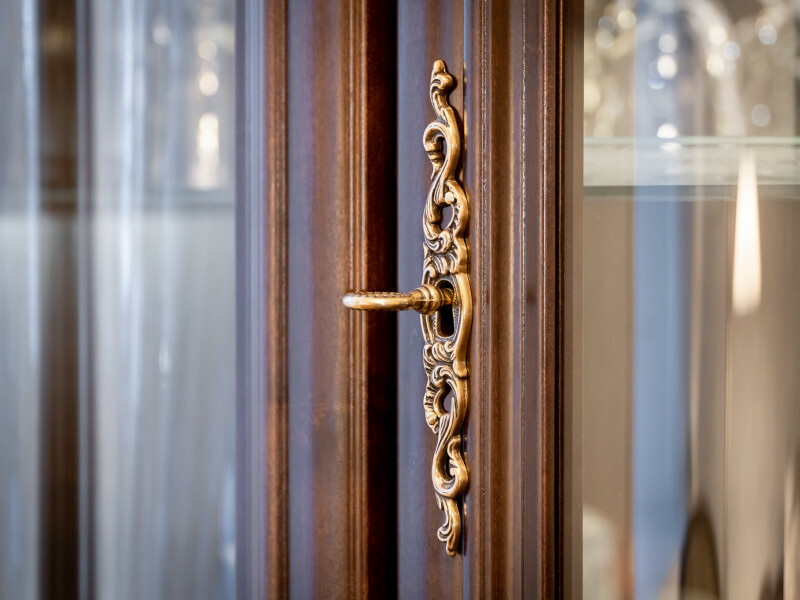 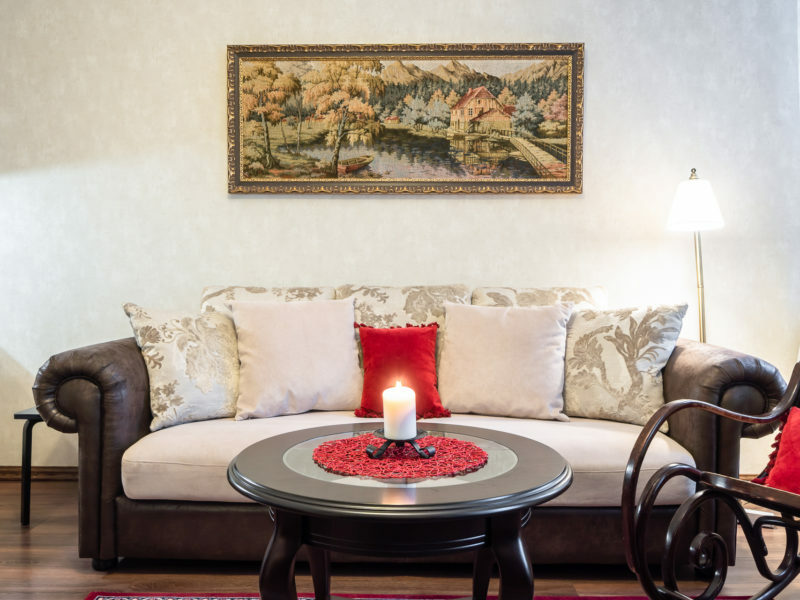 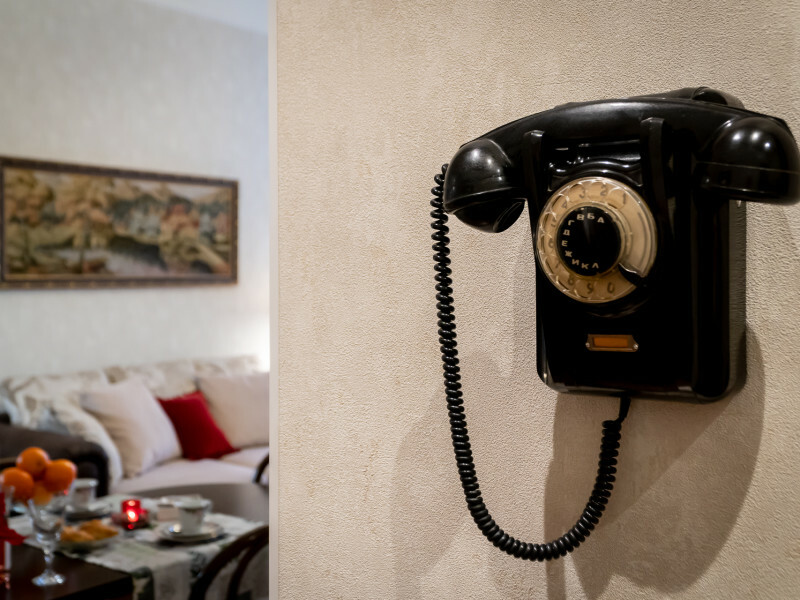 The apartments feature big windows and high ceilings, a mix of modern and classic furniture. 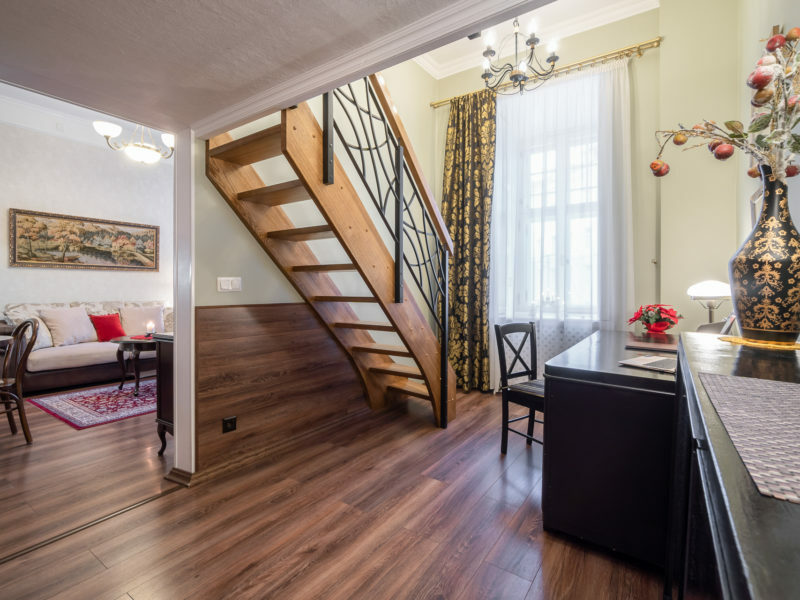 One bedroom is divided into two levels with a staircase leading to the second level. 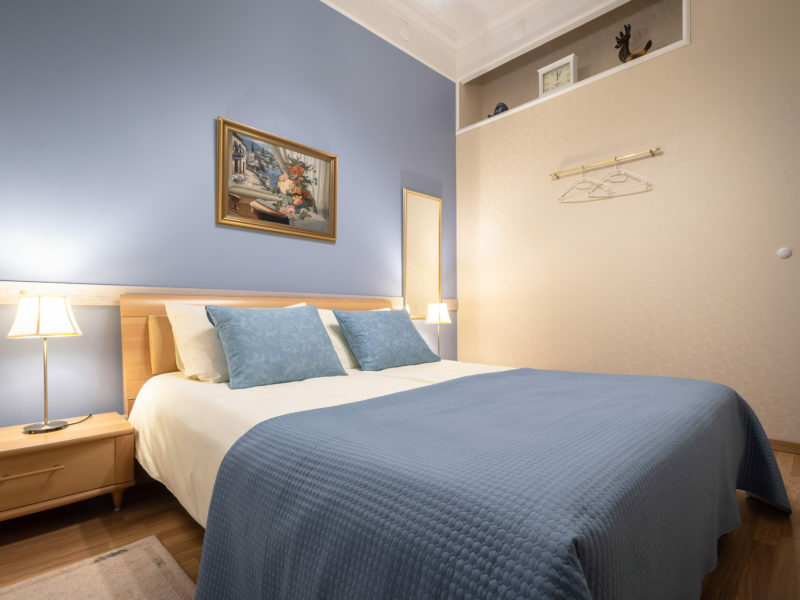 The first level of this bedroom forms a small study and the second level has double bed 140 cm wide which children and young travelers especially like. 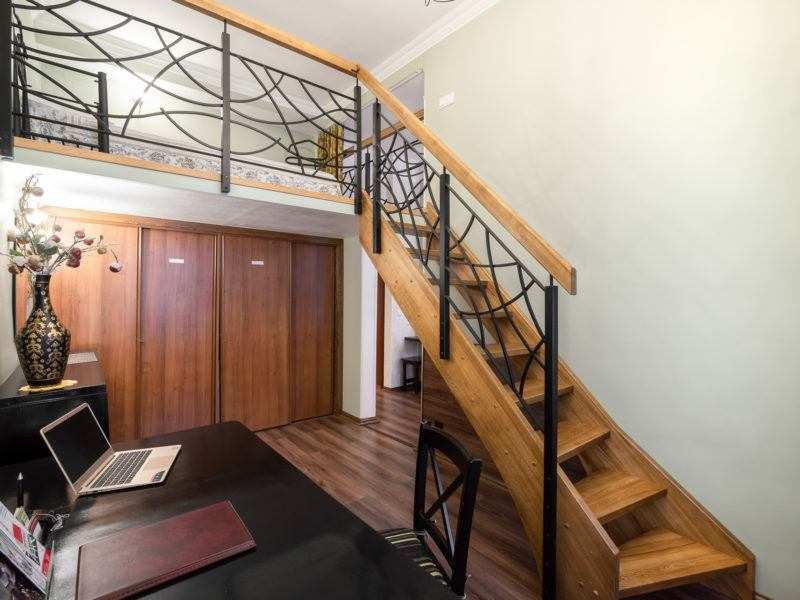 Second level hight is 1.5 m. This room has no closed door in living room, the bedroom on second level doesn’t have one wall, instead of the wall there is nice balustrade with an eye to living room. 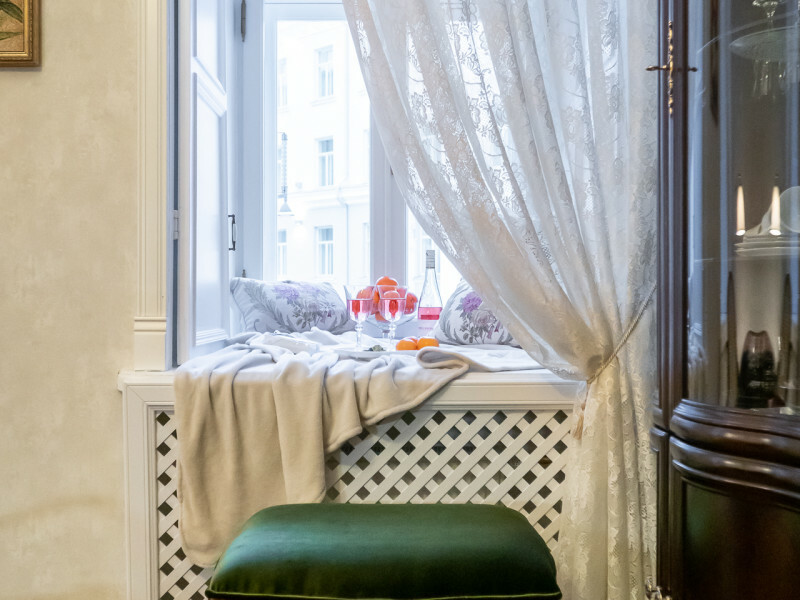 Baby cot is available in the apartment for extra fee. 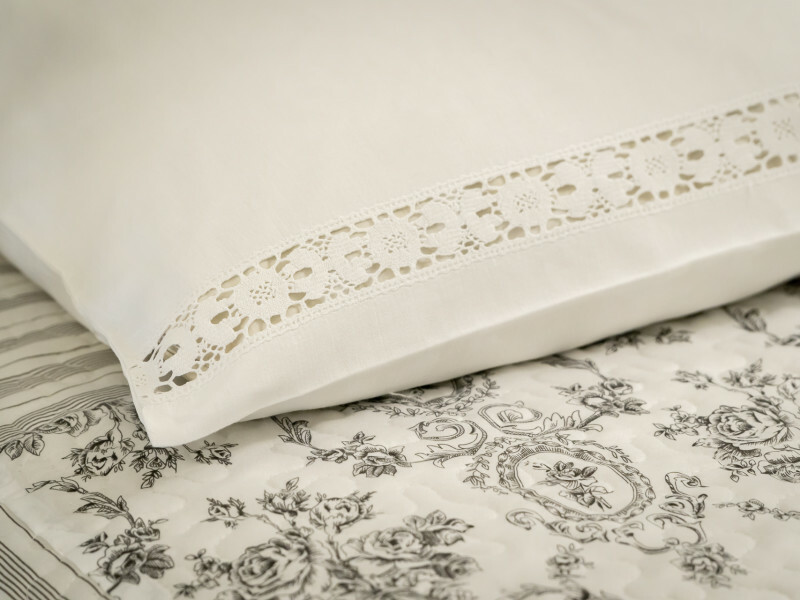 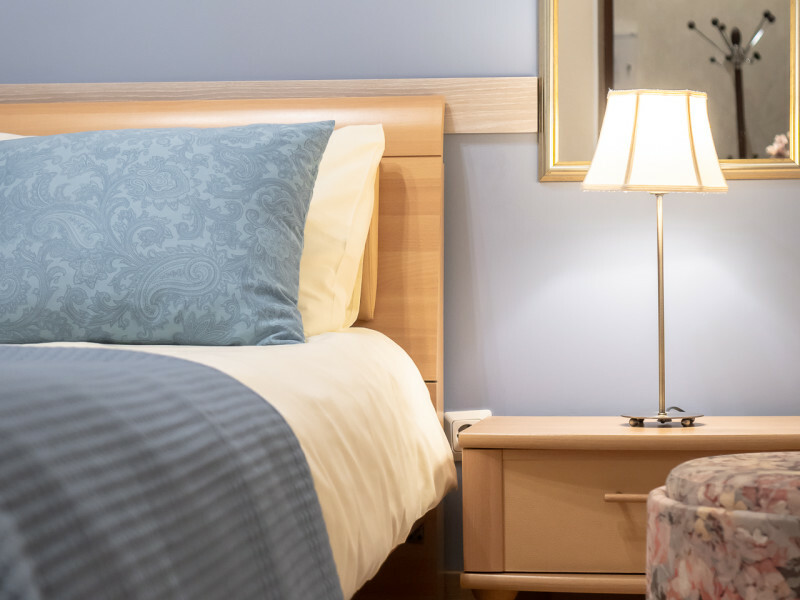 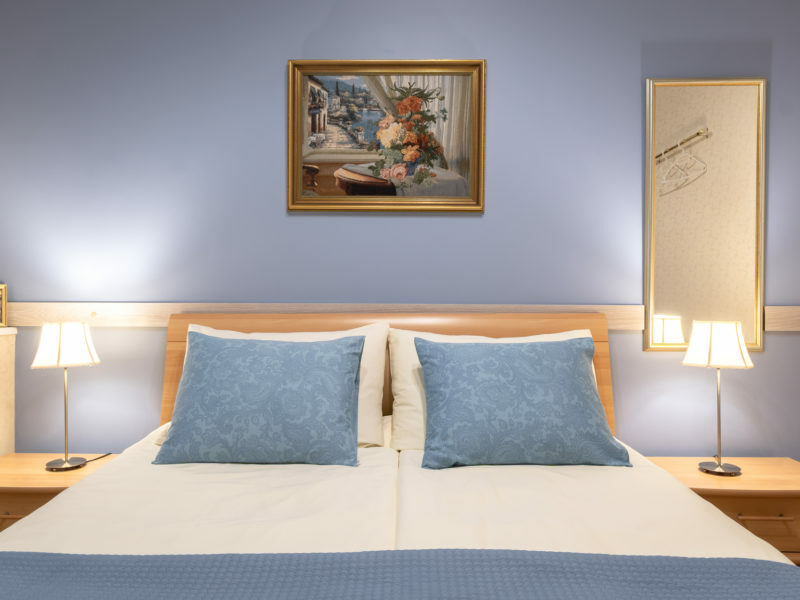 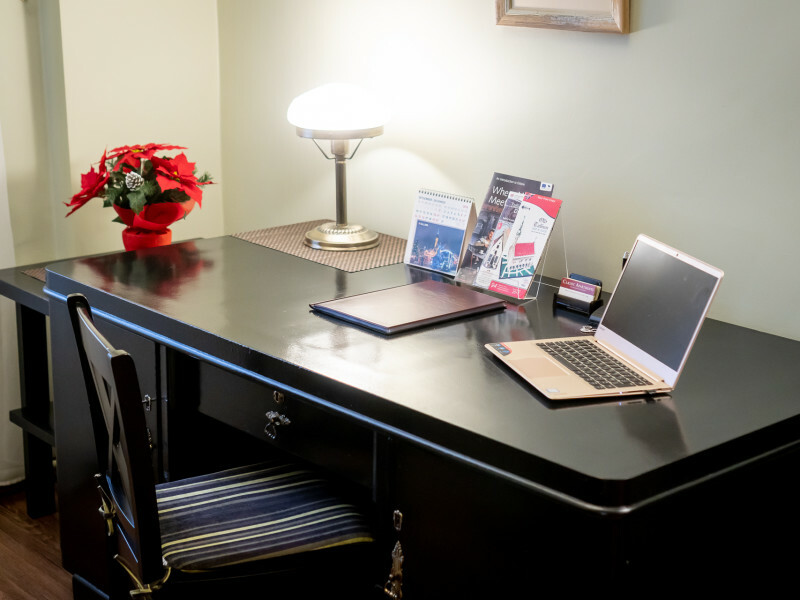 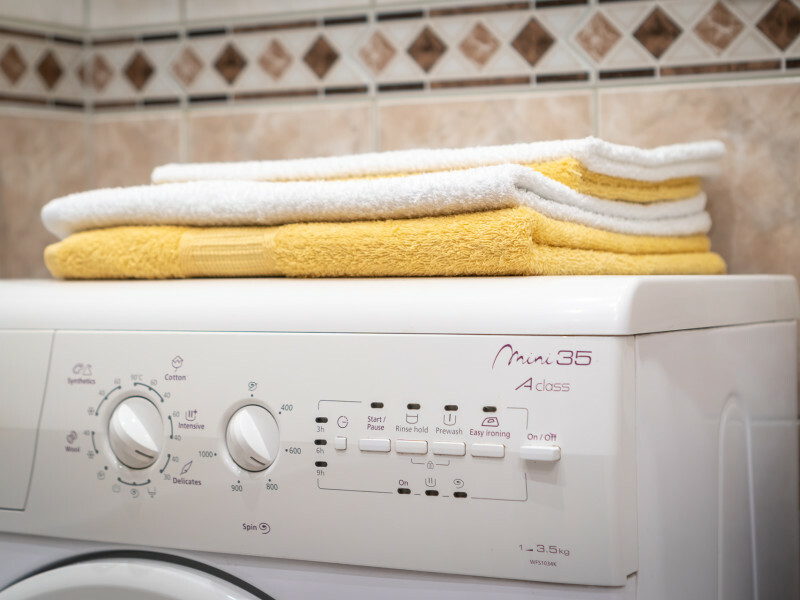 Hot water, linens and towels, free Wi-Fi internet and cable TV, smoothing-iron and ironing board are all at your service to make you stay as comfortable as possible. 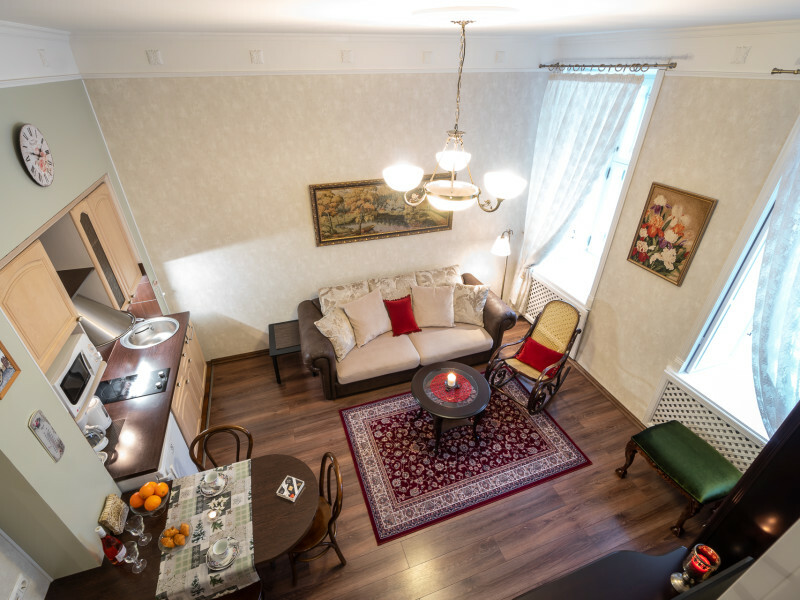 The apartment is suitable for 3/5 persons. 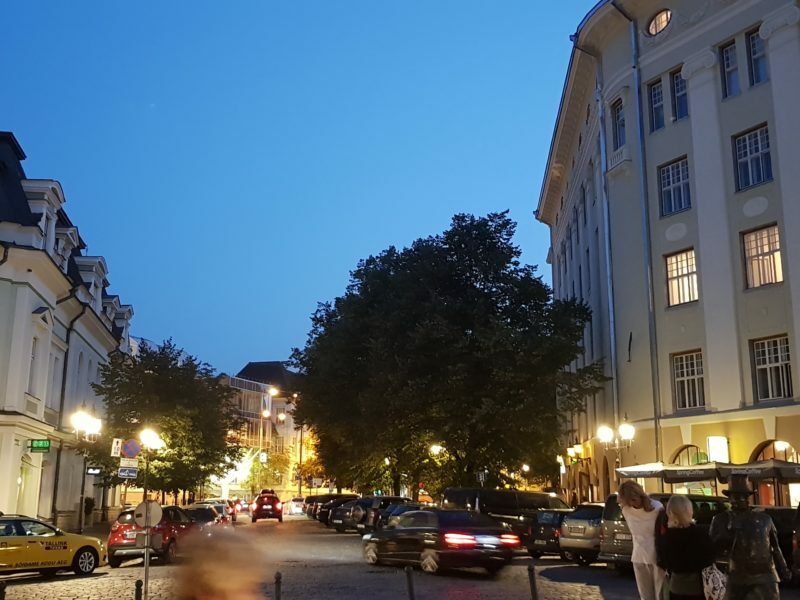 My experience was one of the best I’ve ever had. 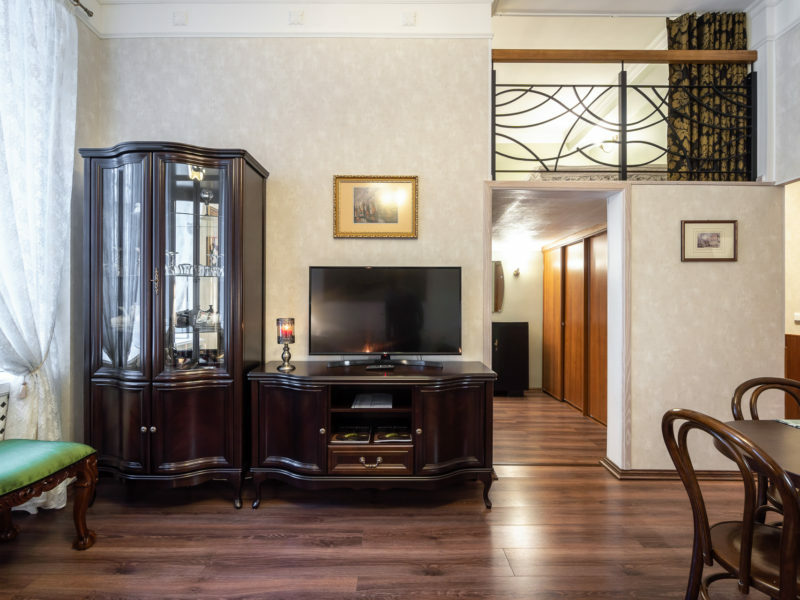 The apartment was clean, spacious, and luxurious. 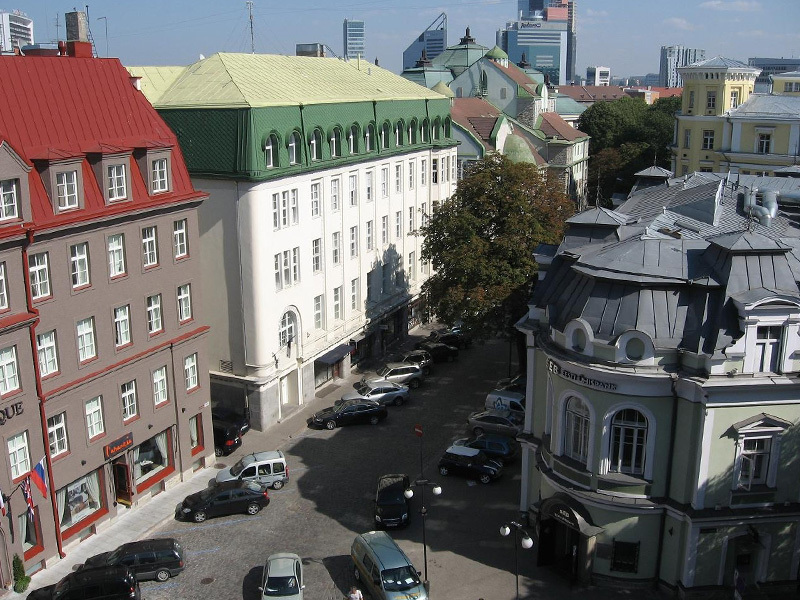 The location might have been the best location in Tallinn. 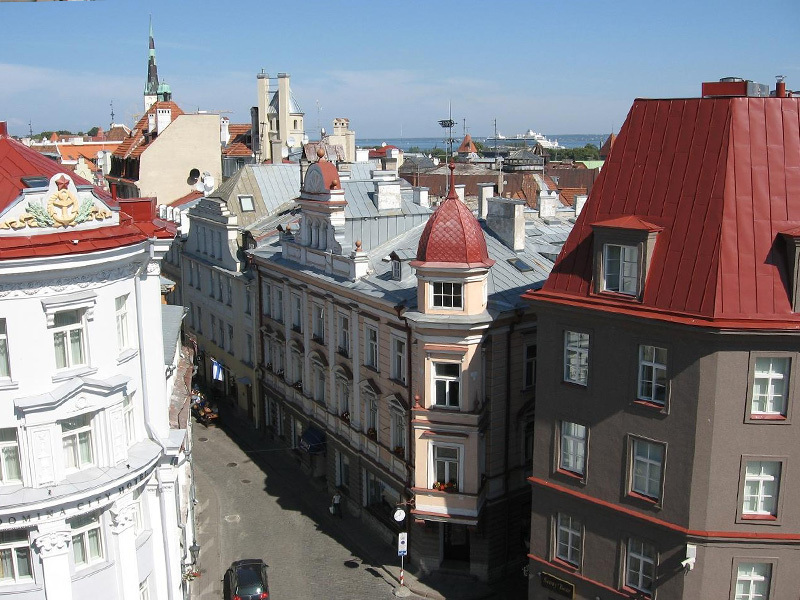 The farthest part of the Old Town was no more than a 10 minute walk, and most restaurants, bars, and clubs were less than 5 minutes away. 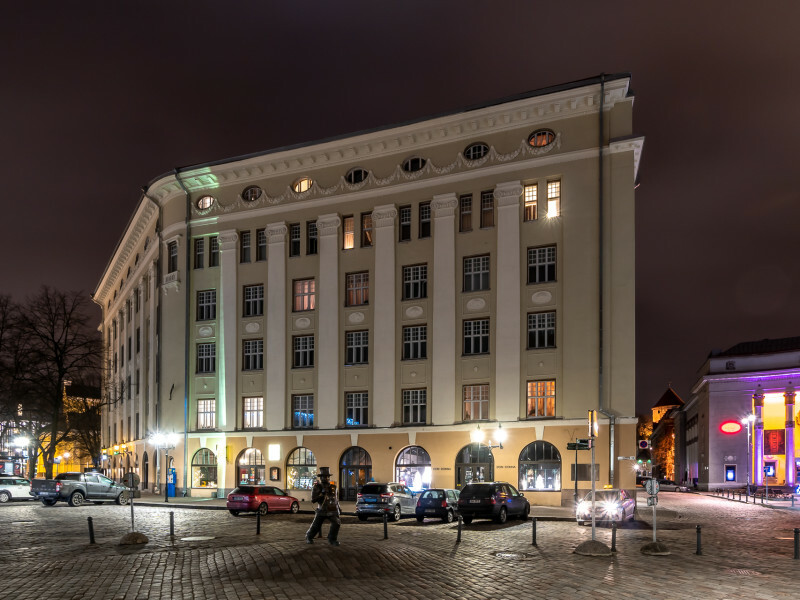 5 stars – I would highly recommend to anyone visiting Tallinn. 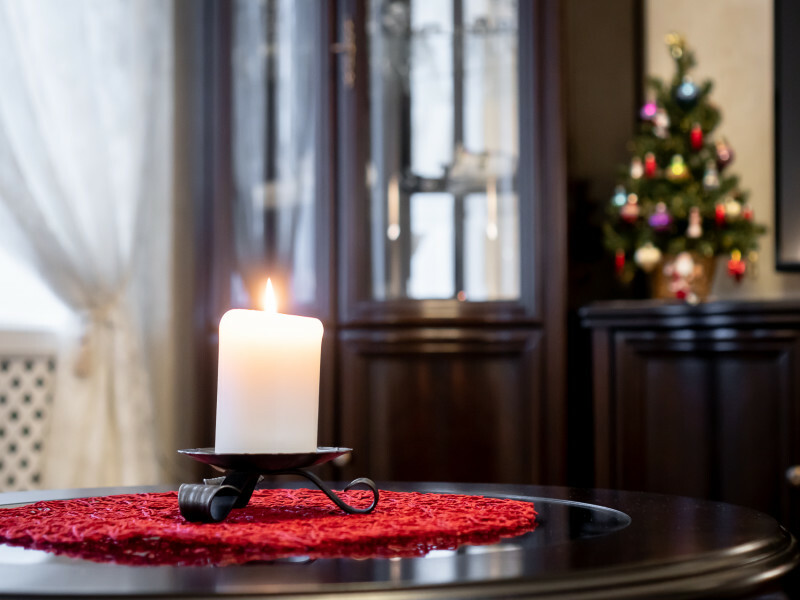 We would like to thank you! 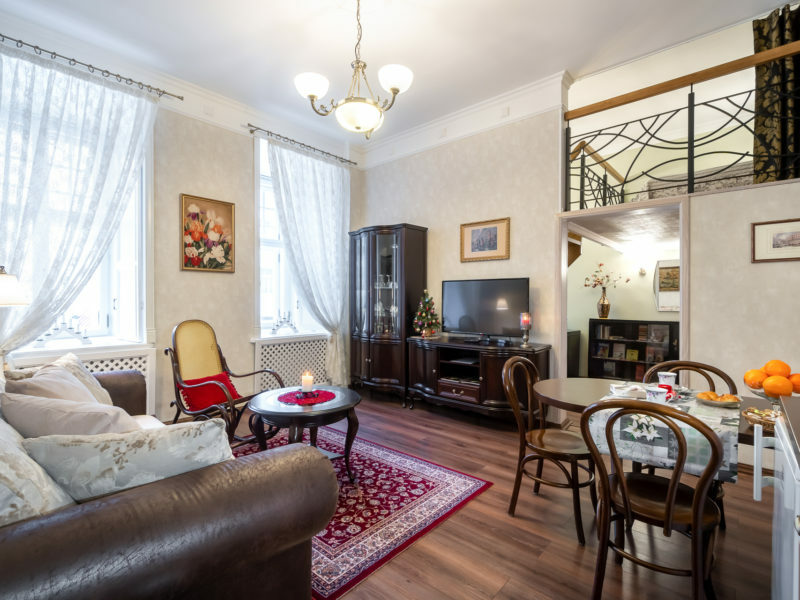 This apartment was one of the nicest ones on my trip with my parents and we had wonderful two days in Tallinn! 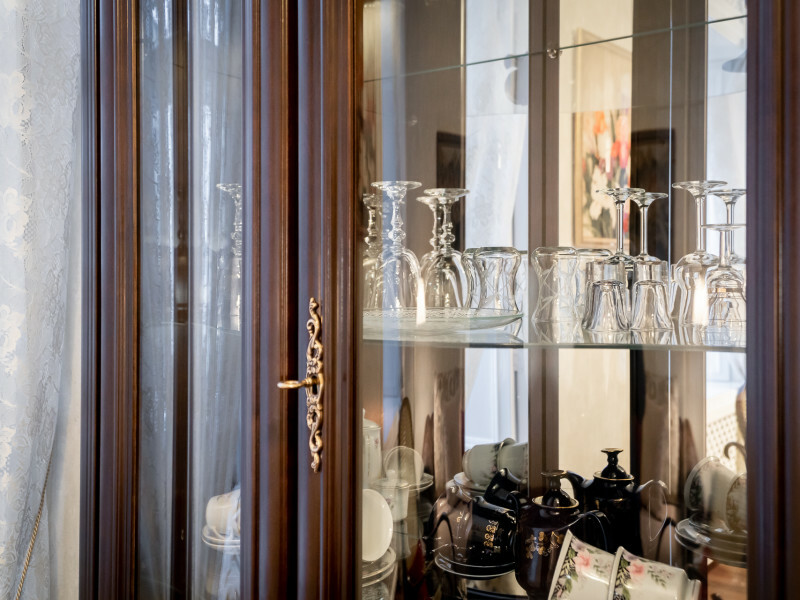 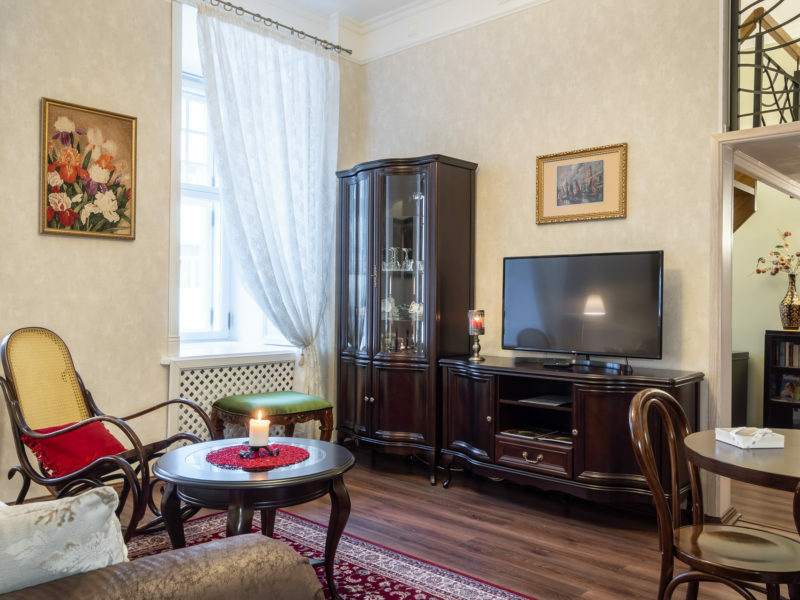 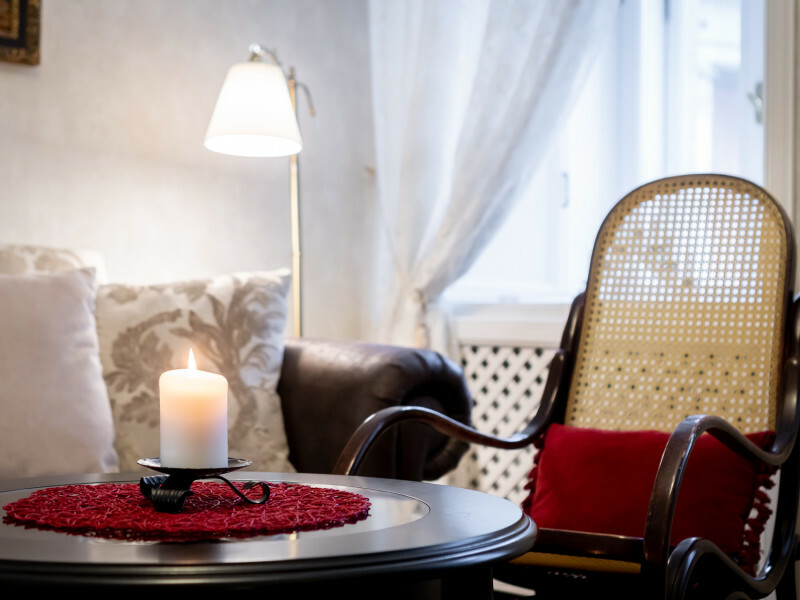 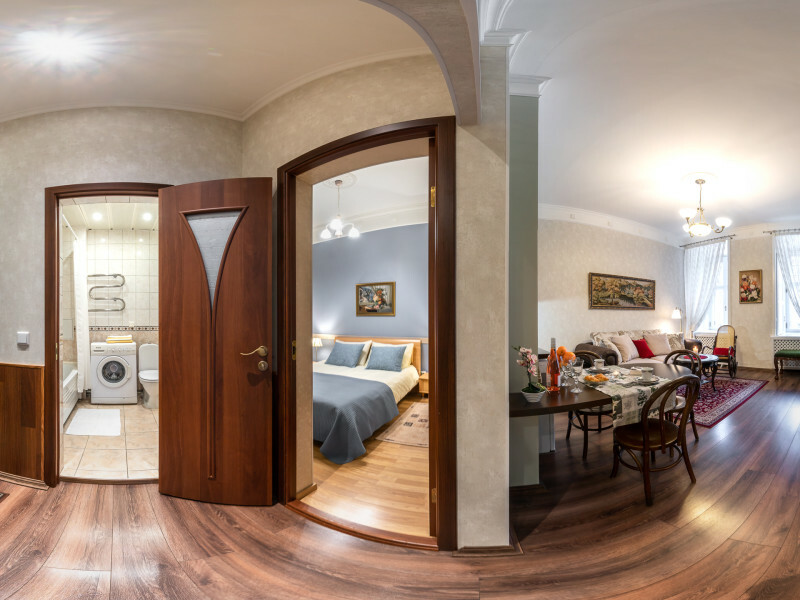 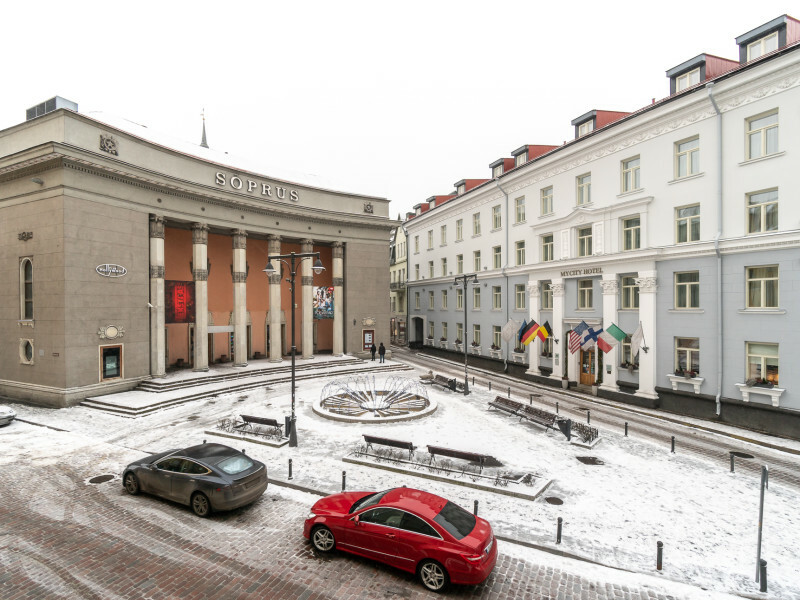 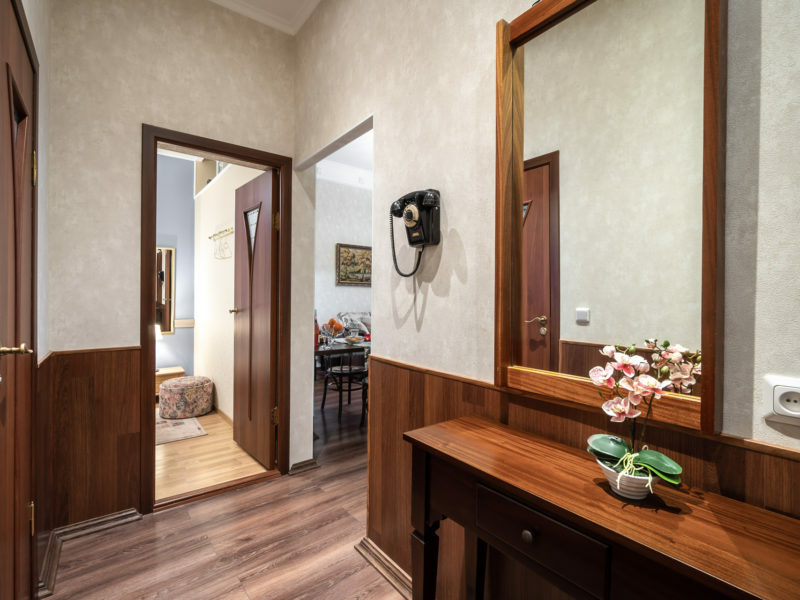 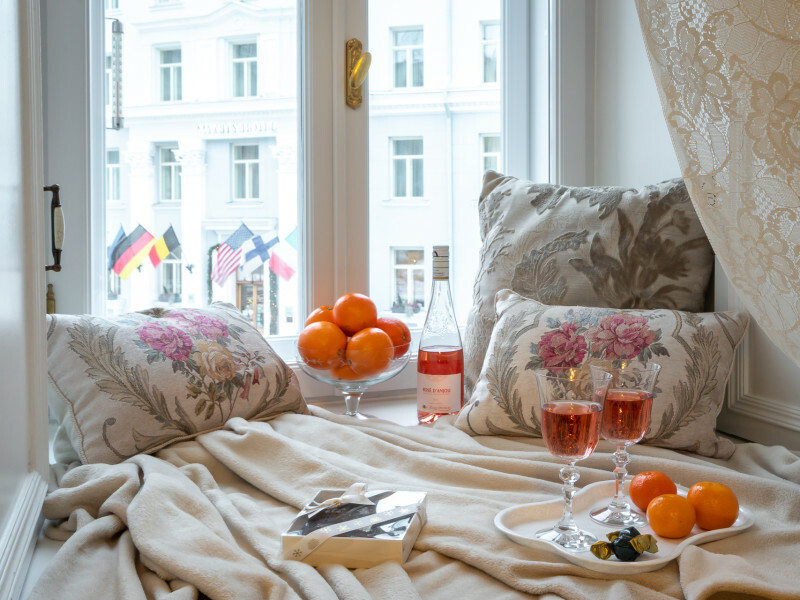 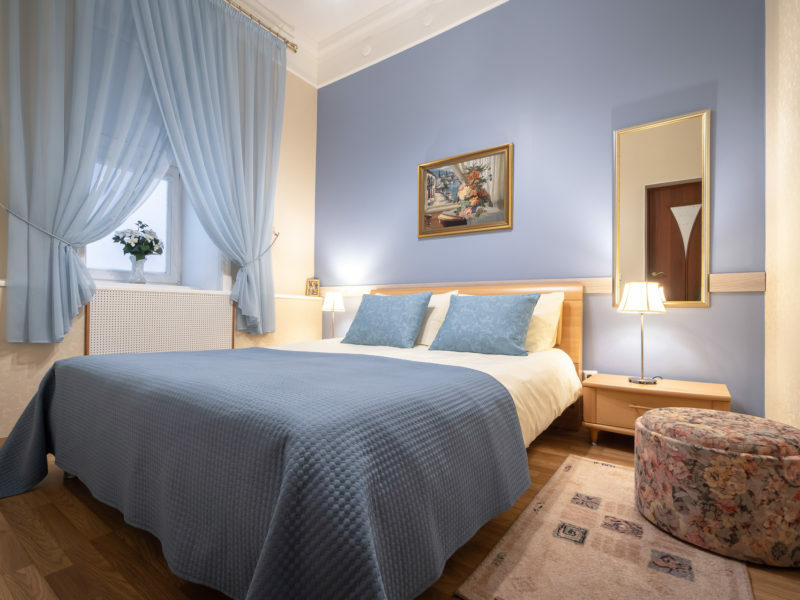 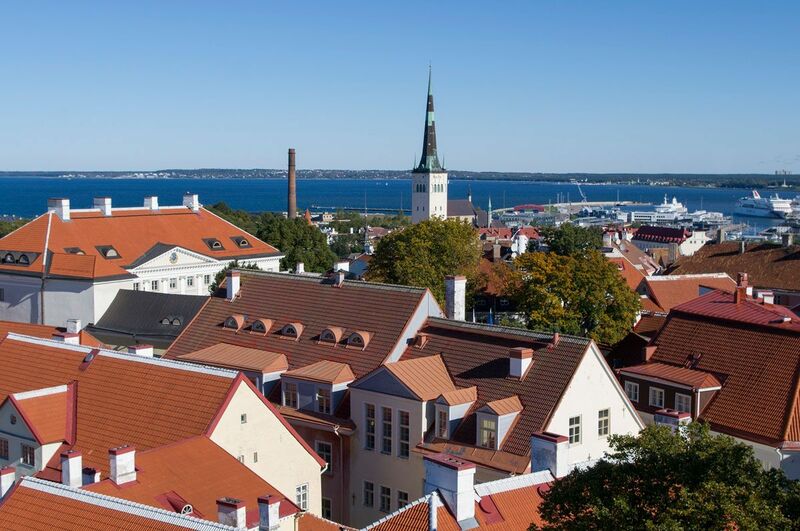 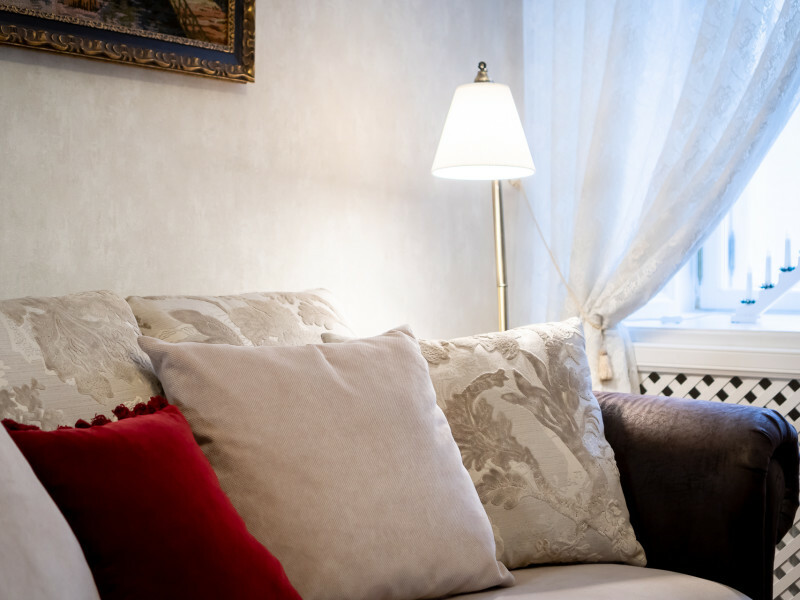 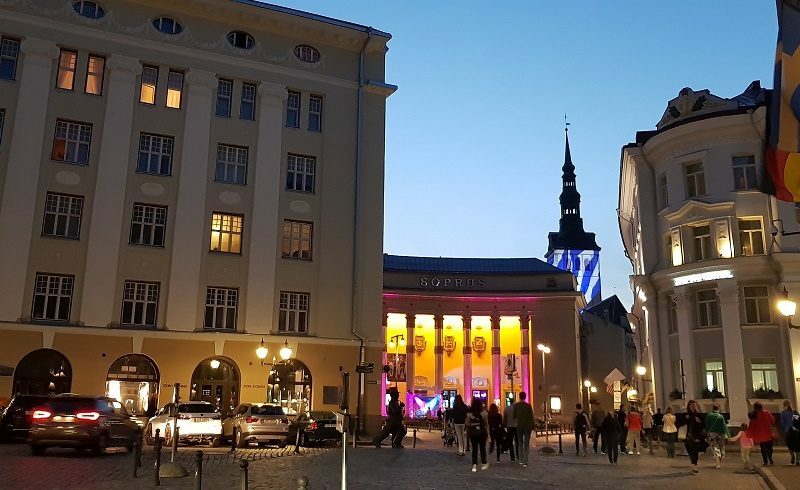 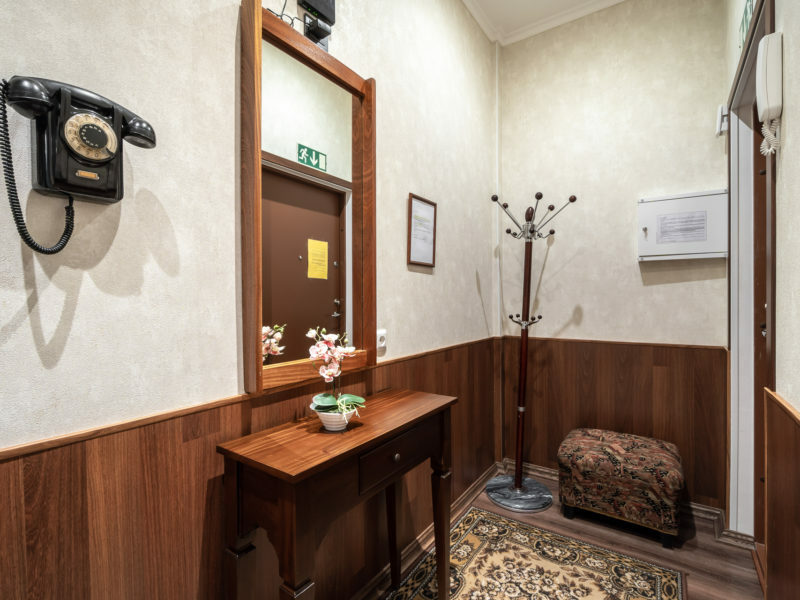 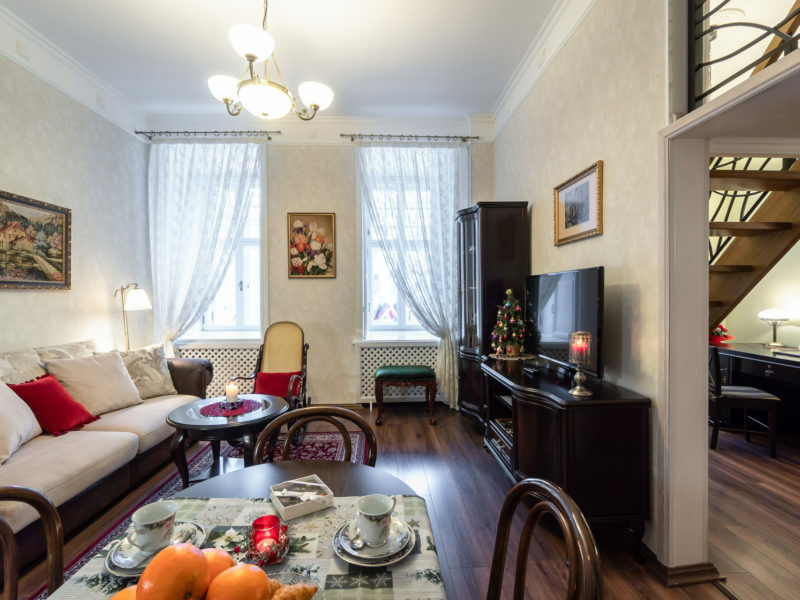 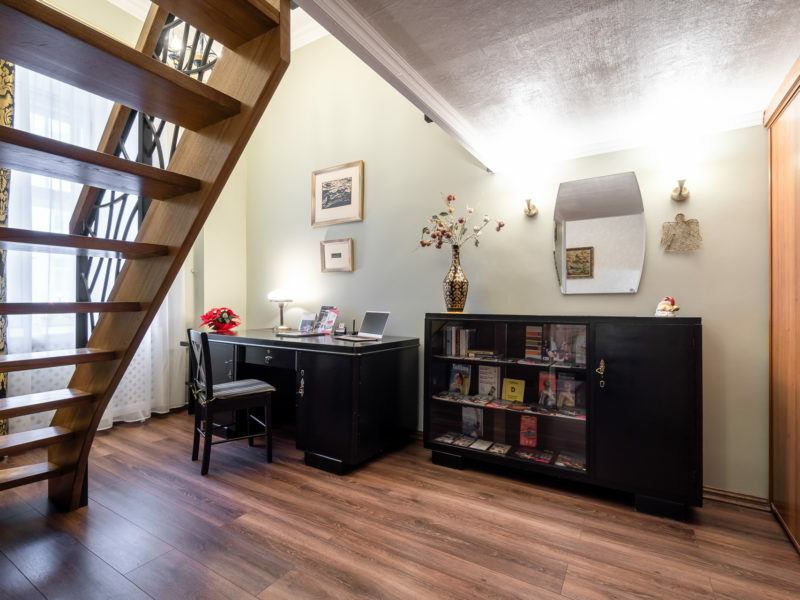 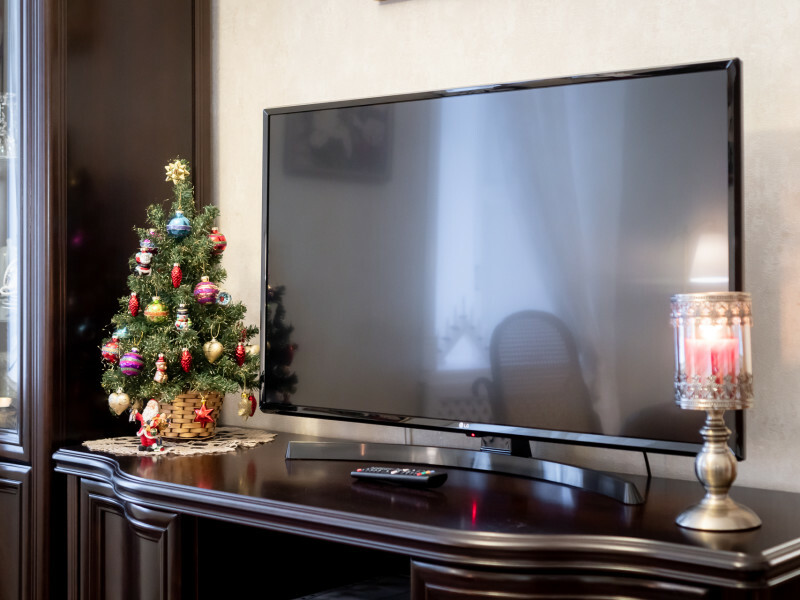 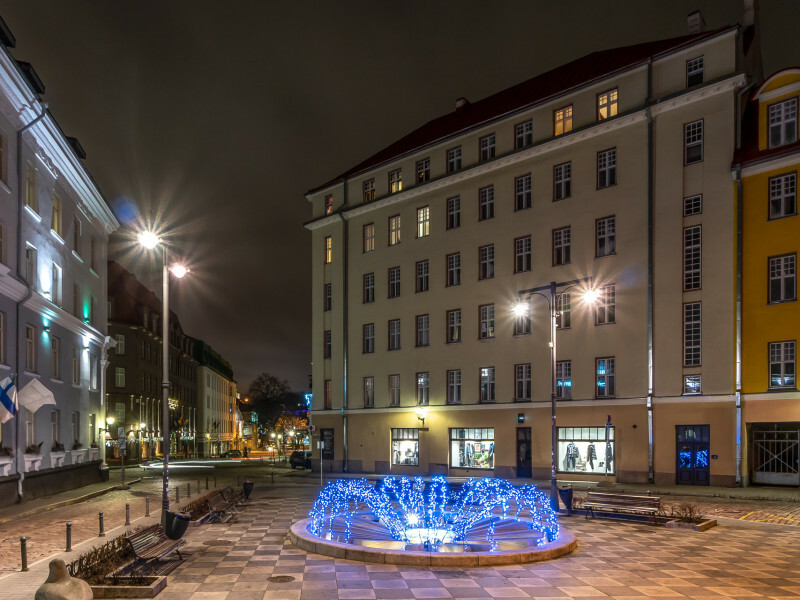 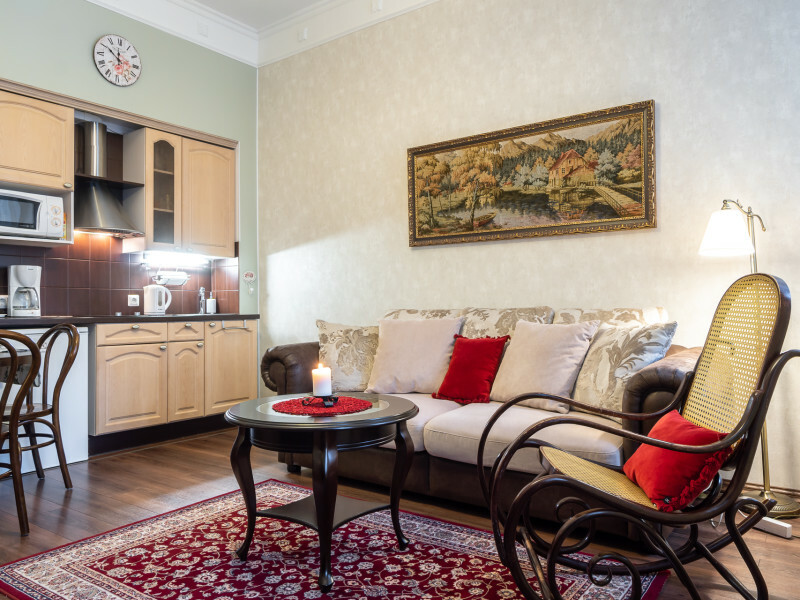 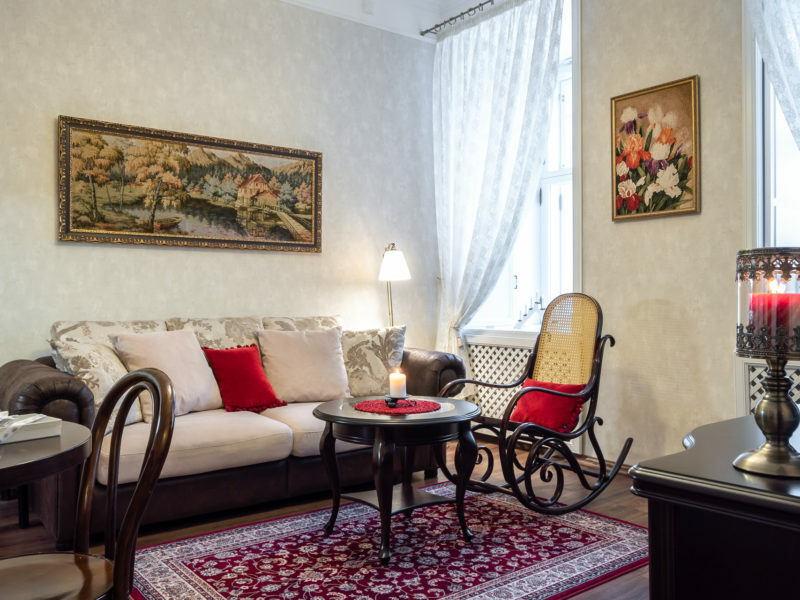 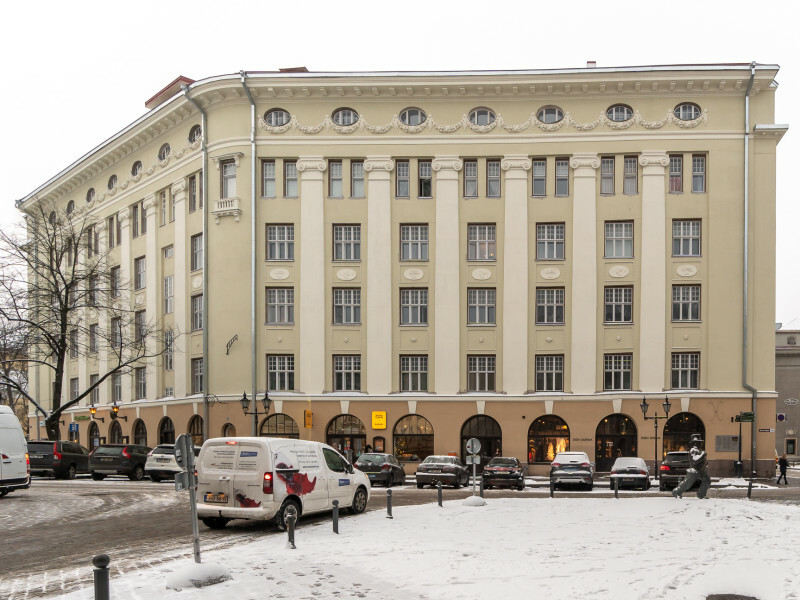 The apartment is located in the heart of the Old Town, 2 minutes walk away from Town Hall Square and right next to the central square of Tallinn – Liberty Square (Vabaduse väljak). 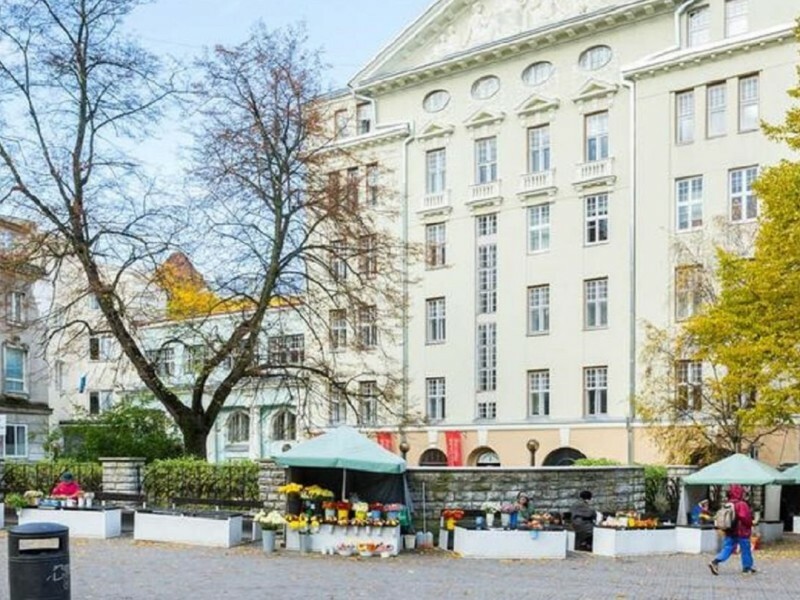 Historical monuments, restaurants, night clubs, cafes, theatres, shops are all close by. 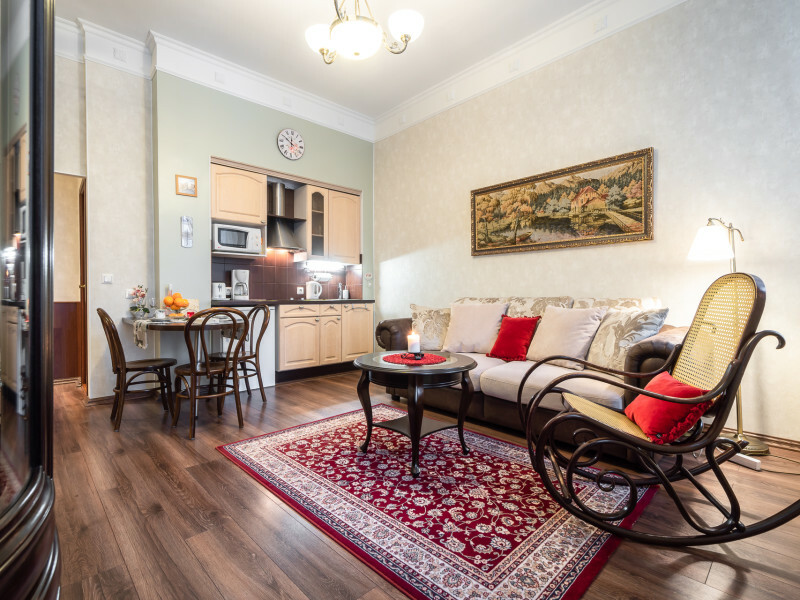 A few minutes walk from the major shopping centre “Viru Centre”, new shopping center “Solaris” is nearby. 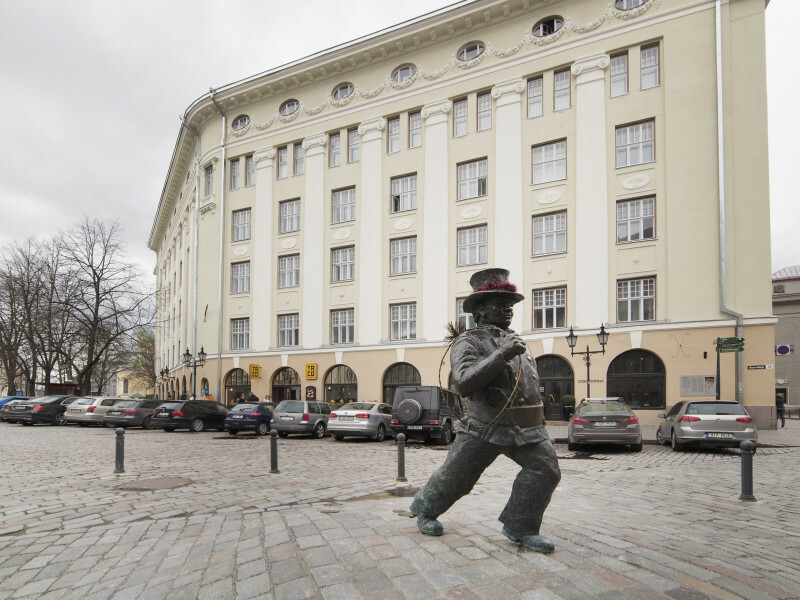 Stops of any public transport are at few minutes walk on Liberty Square (Vabaduse väljak). 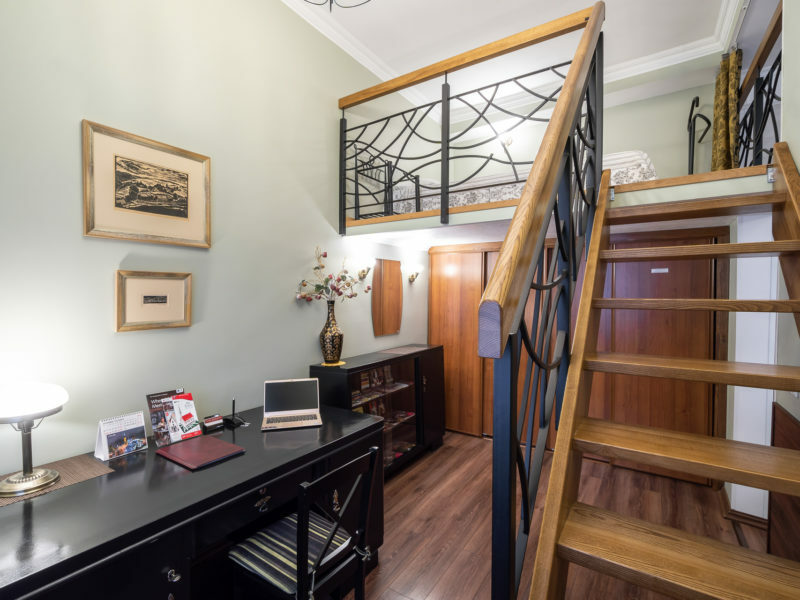 The house itself is an architectural monument of the beginning of the 20.century. 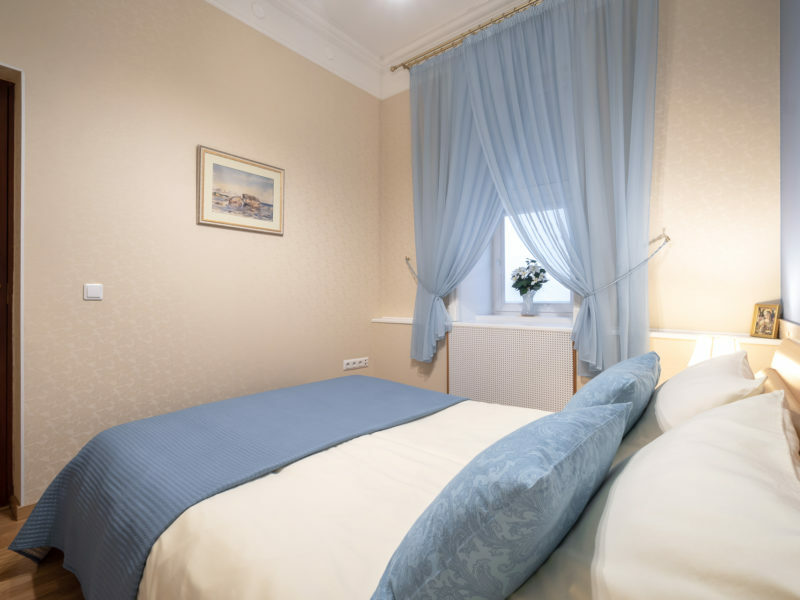 Arrival transfer from the airport, ferry port or bus station for up to 4 guests, paid by guest. 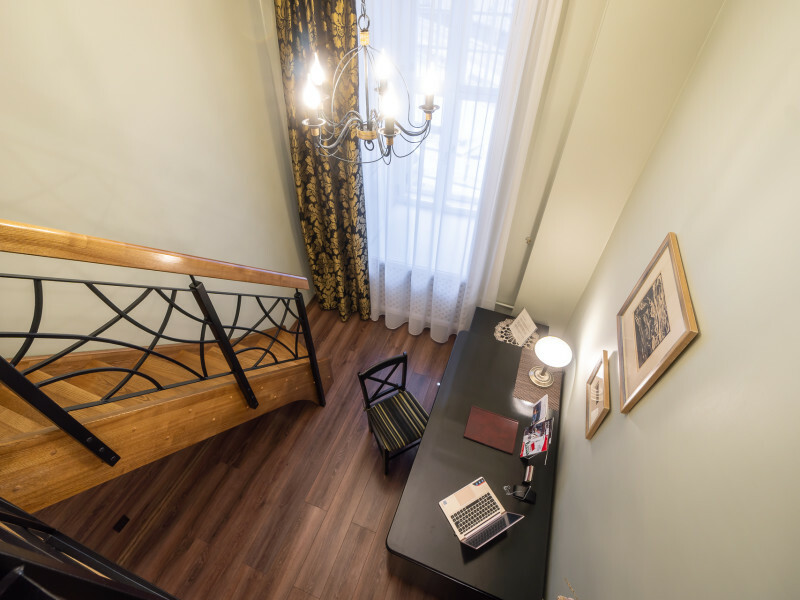 In case of night-time check-in (from 00:00) an extra charge of 15 Euro will be applied.